You've probably seen Doodle Jump for the iPhone. Mega Jump took the same concept as Doodle Jump and created a funner experience out of it. If you're not familiar with Doodle Jump like games, in these games you control a character that needs to jump up as high as possible. Whenever you jump you need to hit something (in Doodle Jump you jump from platform to platform) so that you can continue jumping from that point. If you miss, you fall and die. 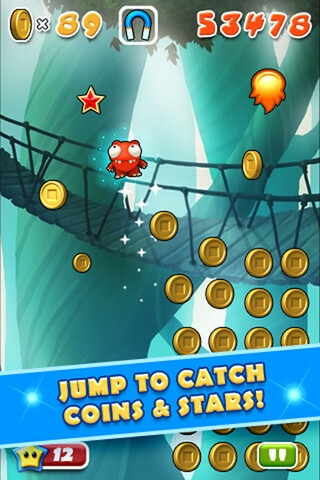 Mega Jump is pretty much the same concept except that instead of platforms you need to collect coins and stars. 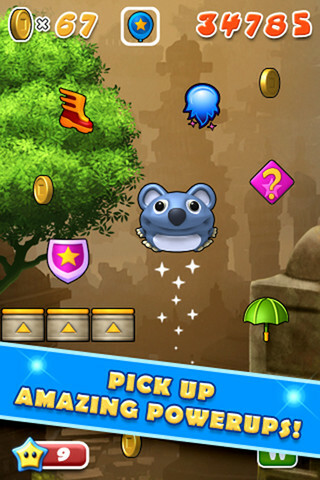 Whenever you hit a coin or star your character jumps up a bit and gives you a chance to hit the next coin or star. If you jump up and don't manage to hit it, you fall to your death. You only get one chance to fall, so if you miss the target and you start falling a bit you better quickly manage to hit a coin as you begin to descend, otherwise you're dead. 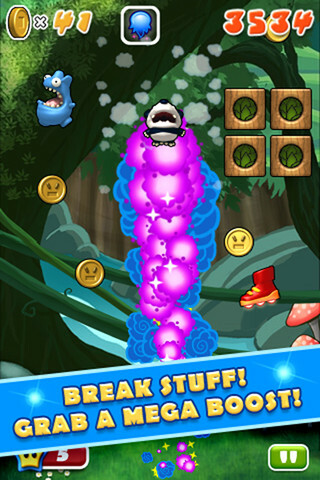 There are also enemies and bad power ups that you should try to avoid hitting. 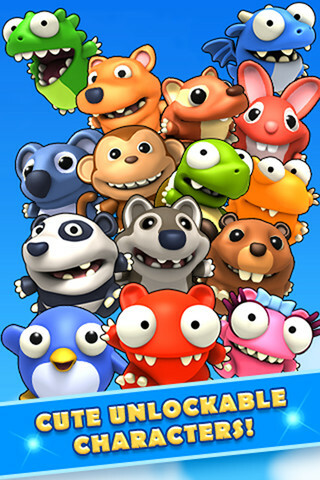 Overall it's a fun casual game for your iPhone. Mega Jump is currently free thanks to App-o-Day, so grab it before they raise back the price.